One step forward, two steps back. 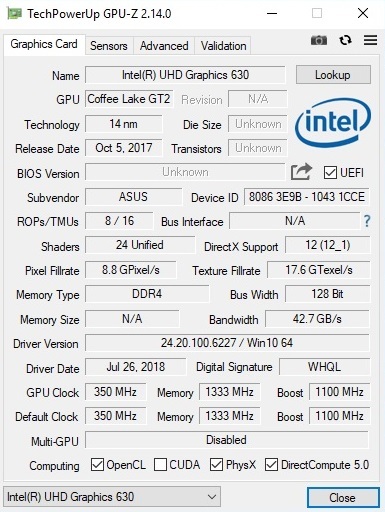 After the GX501 that was only mobile to a limited extent in favor of incorporating G-Sync, the brand-new GX531 is able to score with Nvidia's Optimus graphics switching. Find out in this extensive review why the overall evaluation is still worse than its predecessor's. 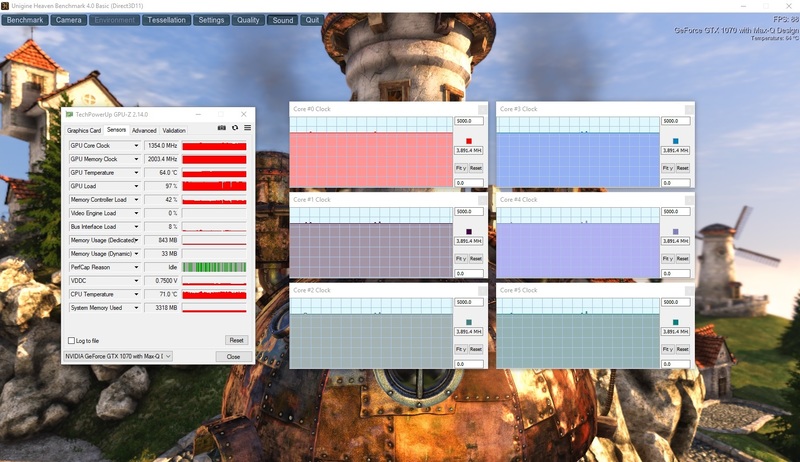 Update: CPU and GPU Turbo mode benchmarks added. 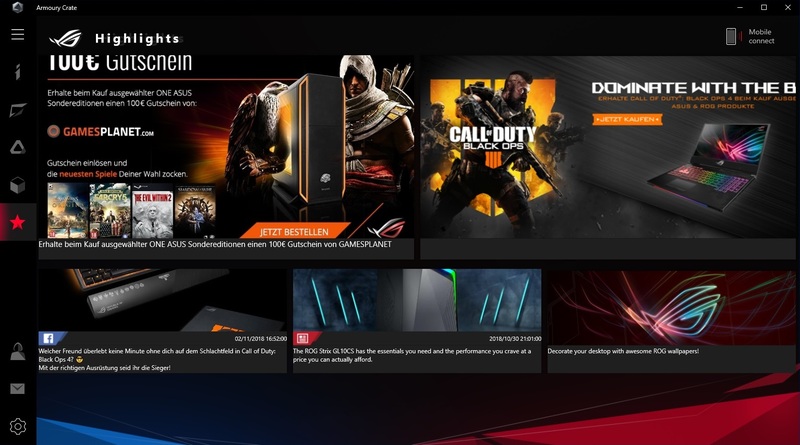 Asus will offer two variants of the ROG Zephyrus S in the market: While the GX531GM has a GeForce GTX 1060, in the more expensive GX531GS that we tested there is a GeForce GTX 1070 Max-Q under the hood. The rest of the components are to a large extent identical. Both models use a hexa-core processor from Intel, the Core i7-8750H to be exact. 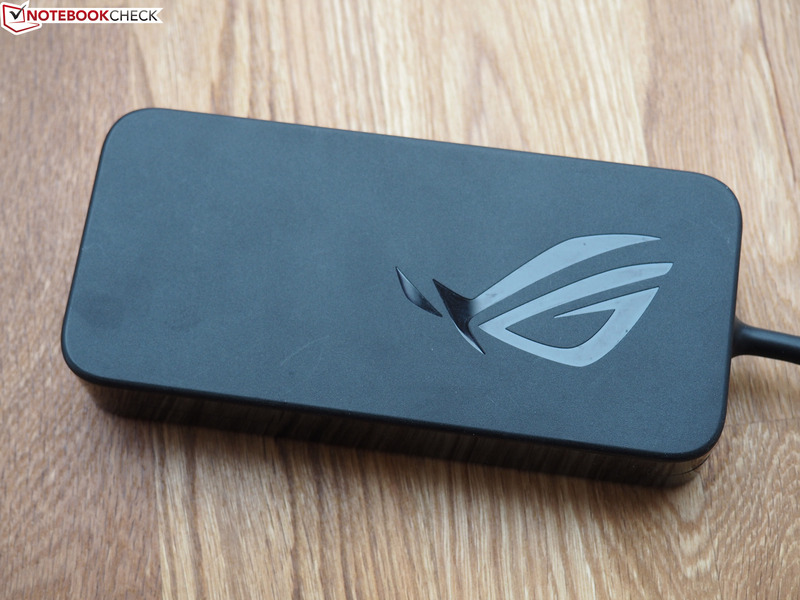 In addition, there is a PCIe-SSD with a capacity between 256 and 1000 GB. The display is a matte Full HD panel that promises a fast response time of 144 Hz. There is at least 16 GB of working memory, with 8 GB of that being onboard and not configured as a SO-DIMM module, which is a negative point in our opinion. Most of the competitors offer two DDR4-RAM slots. 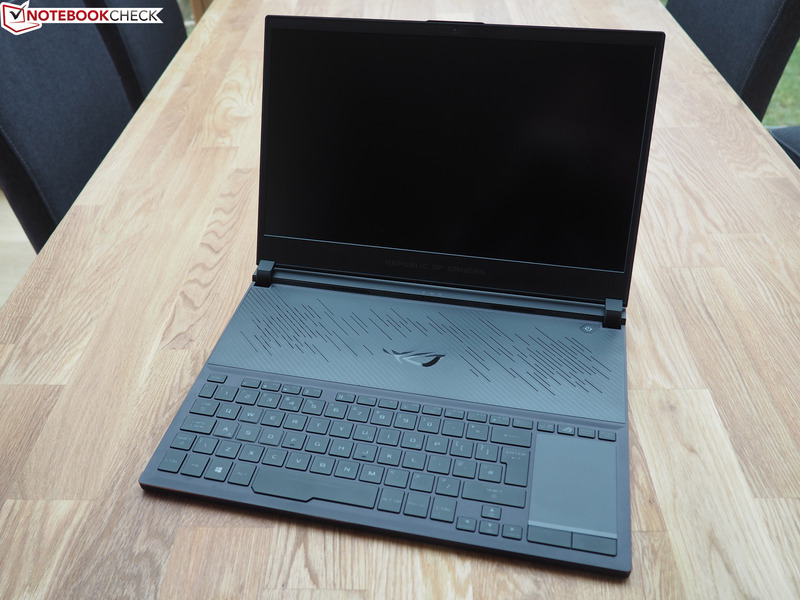 The competitors of the GX531GS include other 15-inch laptops with slim bezels and the GeForce GTX 1070 Max-Q, such as the Gigabyte Aero 15X v8 (88%), the Razer Blade 15 (87%), and the MSI GS65 Stealth (86%). We also include the old GX501 (85%), which had wide bezels, in our charts as a comparison device. , 8 GB onboard + 8 GB SO-DIMM DDR4-2666, all slots occupied, 24 GB max. 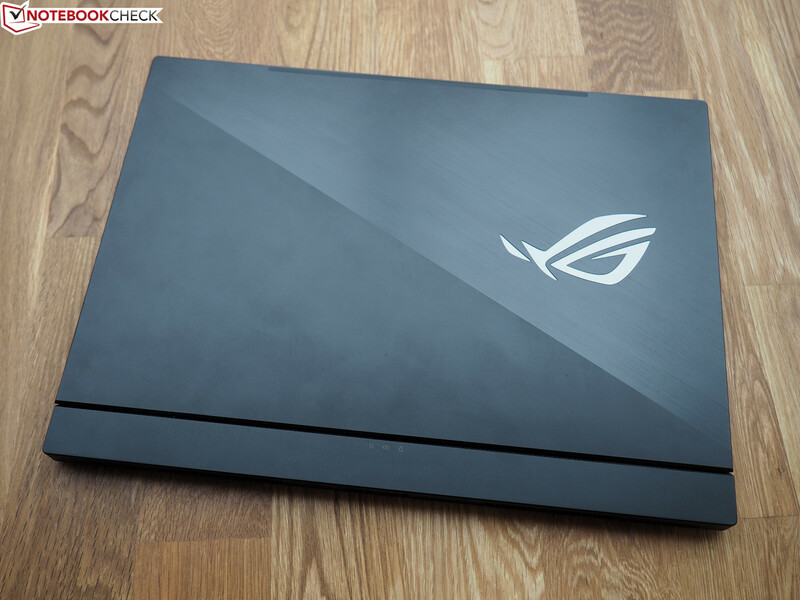 In line with the current trend, Asus uses a slim-bezel design in the ROG Zephyrus S GX531. 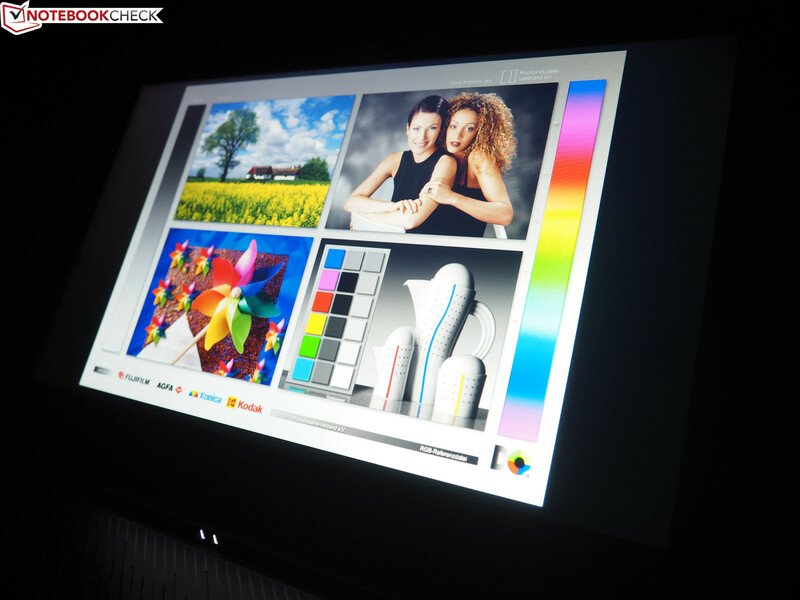 Due to the slim display frame, the width of the notebook has dropped from 37.9 cm (~14.9 in) in the predecessor to 36 cm (~14.2 in), leading to a more compact presentation. However, this goes only for the width, since the depth has even increased slightly compared to the GX501 (26.8 vs. 26.2 cm, ~10.6 vs. 10.3 in). 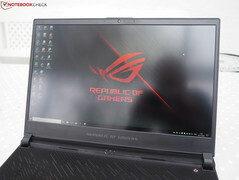 At first glance, it might look great that Asus has decreased the thickness from 17.9 to 15.8 mm (~0.7 to 0.62 in, keywords: design and mobility). However, the obsession with slimness also has some negative aspects, as we will point out in the course of this review. 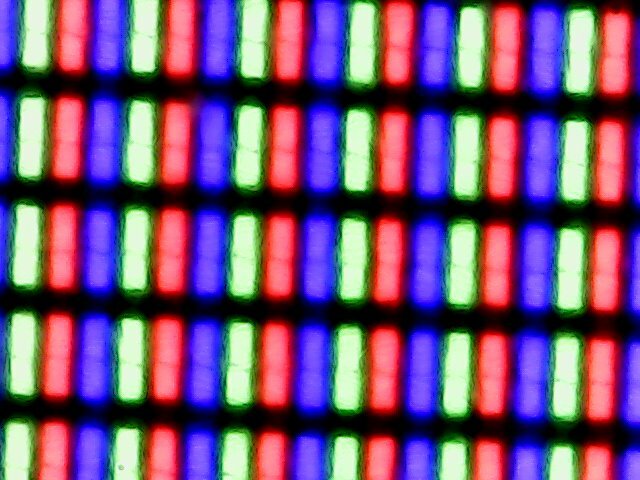 The slim-bezel devices from MSI, Gigabyte, and Razer range between 17.3 and 18 mm (~0.68 - 0.7 in), which is also very slim. In terms of the weight, there are no surprises. With the exception of the particularly light (but also less sturdy) GS65 Stealth, all the competitors weigh around 2.1 kg (~4.6 lb). Thanks to the low weight and compact measurements, the GX531 can be carried around comfortably, which should please those gamers who are on the road a lot. There are also no complaints about the quality of the case. 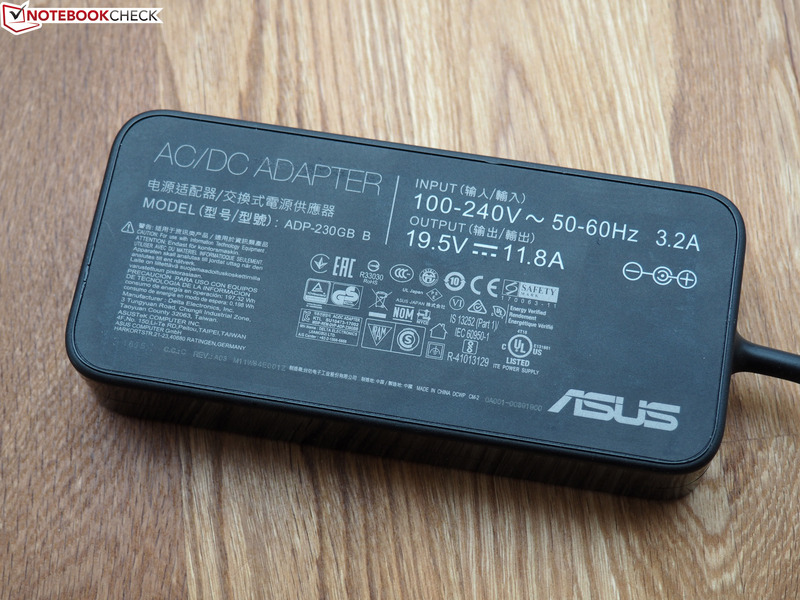 Similar to the predecessor, Asus has predominantly used metal here as well, which ensures an elegant look and feel. However, the dark surfaces attract fingerprints. Whether you like the two-part design of the lid or not is a matter of taste. The manufacturer has combined a sand-blasted finish with a brushed finish here. We would consider the workmanship of our test unit good, and all the elements transition cleanly into one another. 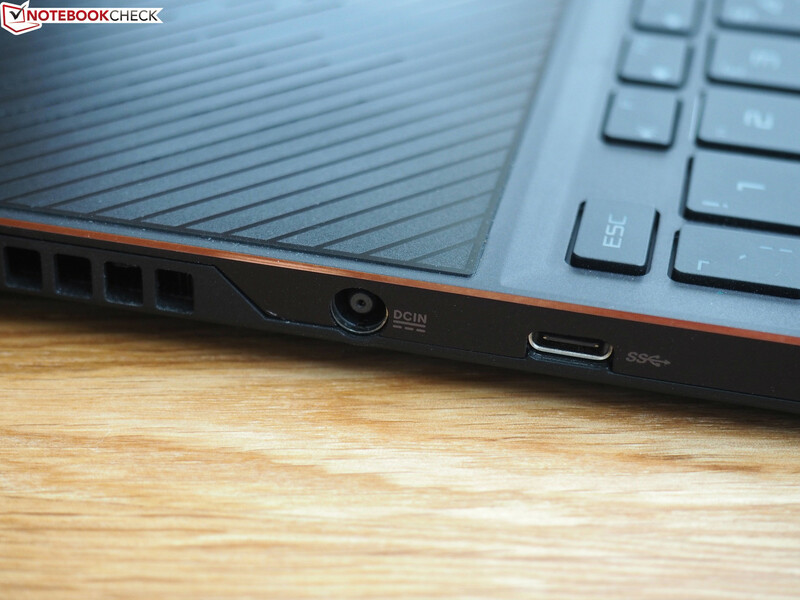 However, Asus could improve a bit on the hinges. Even though the lid can be opened with one hand and also remains fairly stable during tremors of the surface, the maximum opening angle is extremely small. One of the characteristics of the 15-incher that stands out is the very unusual construction of the bottom that we already know from the GX501. When opening the hinge, part of the case bottom also swings open, creating a gap of several millimeters (1 mm = 0.04 in) that is supposed to improve the air circulation and provide some cooling. Basically, we were disappointed by the connection equipment. 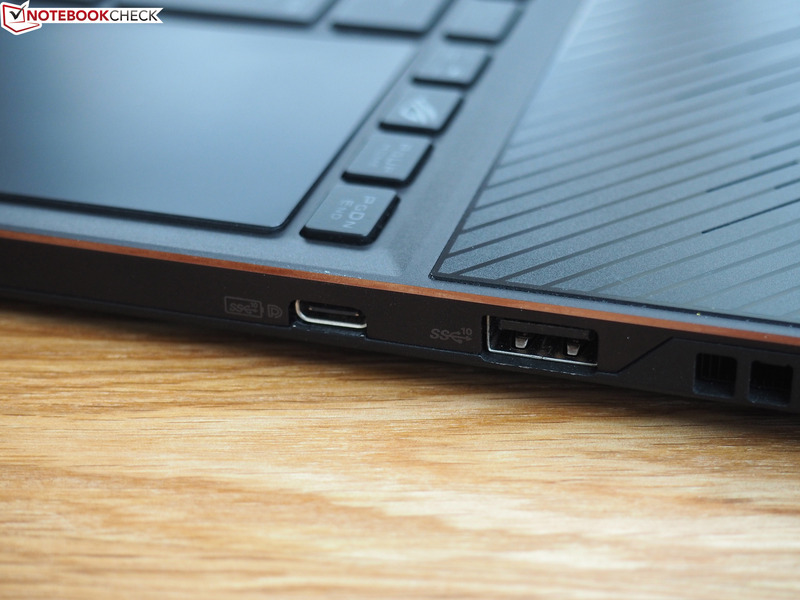 In contrast to its predecessor, the GX531 does not have a Thunderbolt-3 port anymore, although in 2018 it is the standard of notebooks in this price range. 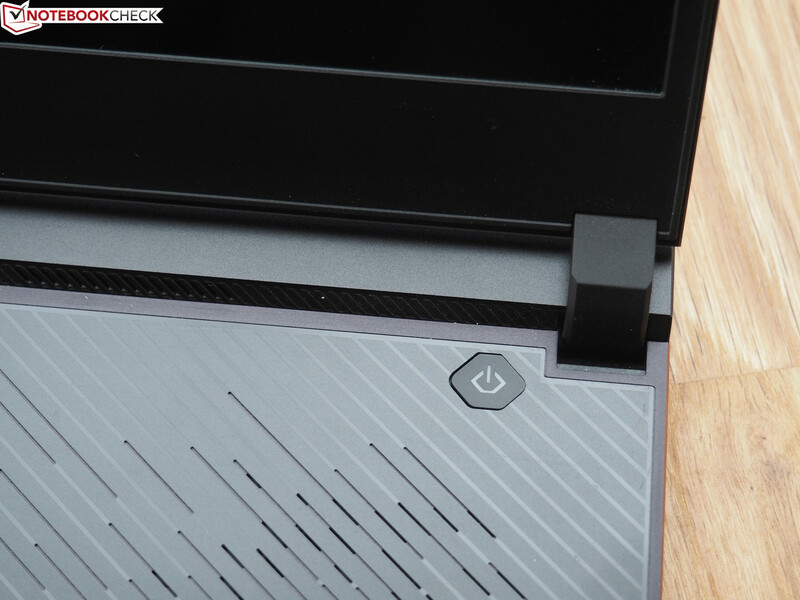 After all, the Gigabyte Aero 15X v8, the Razer Blade 15, and the MSI GS65 also offer the corresponding connections. A combined audio port for headphones and microphone is also meager. The choice of USB ports may also lead to some users shaking their heads. While two 3.1-Gen2 ports (1x Type-A, 1x Type-C) on the right side are nice, the left side has to be content with two ancient 2.0 ports (Type A) in addition to the single 3.0 port (Type-C). 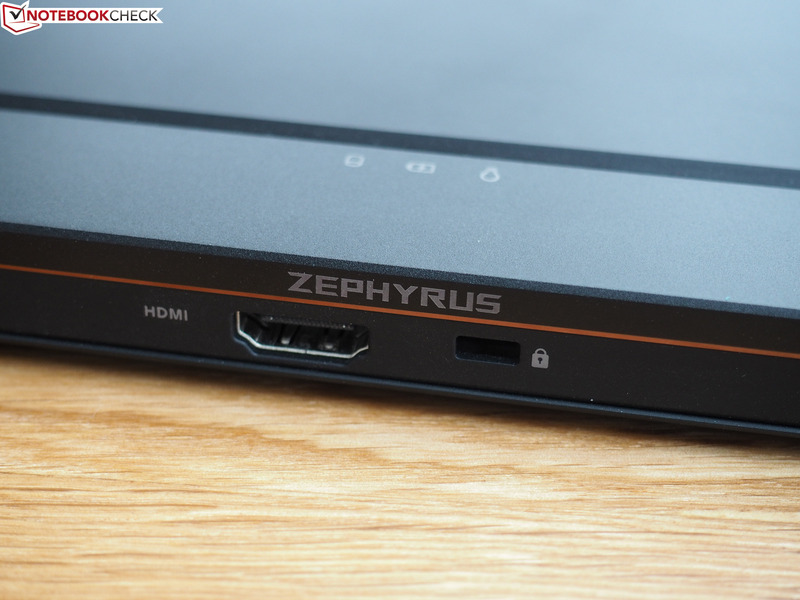 Anyone who wants to connect a monitor via DisplayPort instead of HDMI also needs a Type-C adapter, since Asus has not built in a dedicated DisplayPort connection – annoying! Buyers will have to make do without a card reader or an RJ45 port as well. We can offer praise for the high Wi-Fi speed. Intel's brand-new Wireless AC-9560 chip is used as the communication module. At around 700 Mb/s in sending and receiving, the GX531 takes the first place among the competitors in our WLAN test (1 m distance to our Linksys EA8500 reference router), even if the differences often remain marginal. 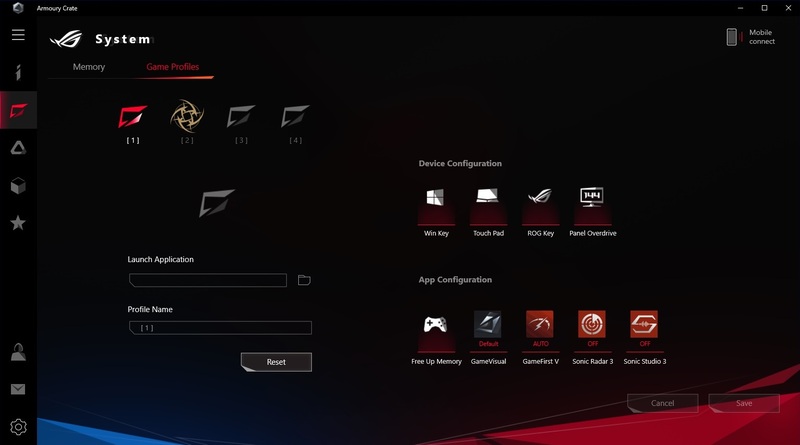 The famous Gaming Center, which has been preinstalled on Asus gaming laptops for years now, had to make room for the so-called "Armoury Crate" in the ROG Zephyrus S. While this has been strongly tuned visually, it offers just as many options as before. 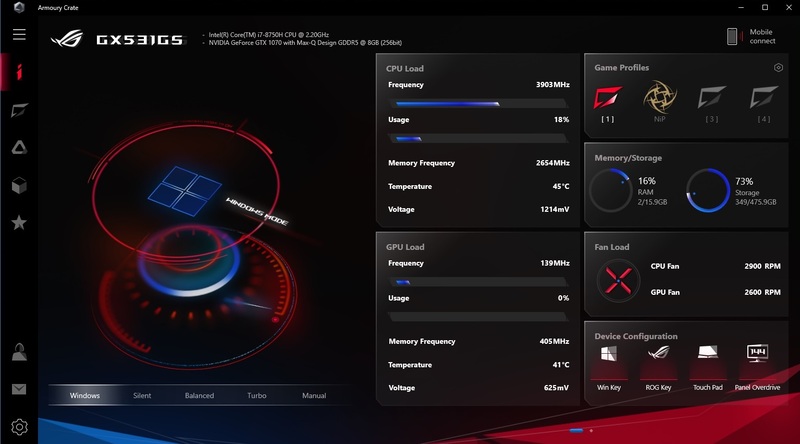 For example, you can find information on the clock speed behavior, the CPU and GPU temperatures, the RAM and storage usage, and the fan speed in the first tab. There are also several profiles here, ranging from Silent up to Turbo. In order to be able to better compare the GX531 with its competitors, we used the "Windows" setting in all our tests, which uses the power-saving settings of the operating system. 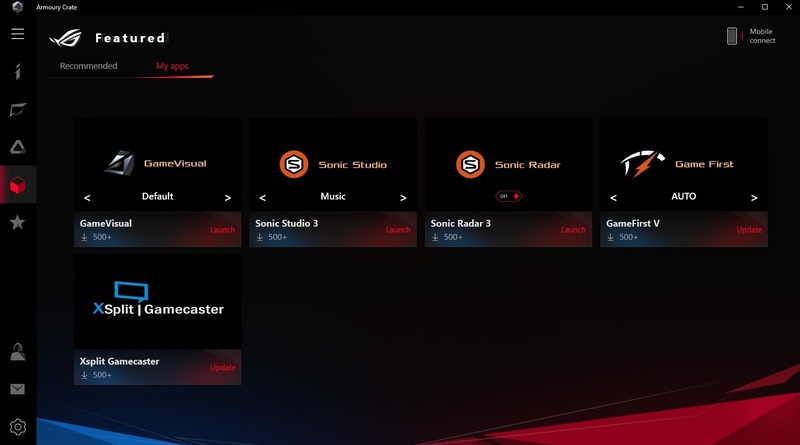 There is also a manual control option that can be used by tuning experts. Unfortunately, the GX531 has inherited the lack of maintainability from the GX501. While in other gaming notebooks you can quickly and fairly easily access the insides by taking off the case bottom, the process is much more complicated and less user-friendly in the ROG Zephyrus S. If you take off the fold-out bottom construction via Philips screwdriver, you only get access to the two case fans and nothing else (see image above). Only a key-ring and several stickers were included with our test sample. 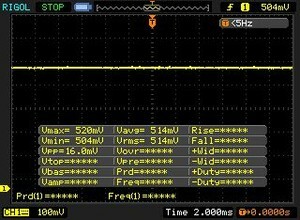 The power is provided by a 230-watt power supply that measures about 16.5 x 7.5 x 3 cm (~6.5 x 3 x 1.2 in) and weighs almost 0.6 kg (~1.3 lb). 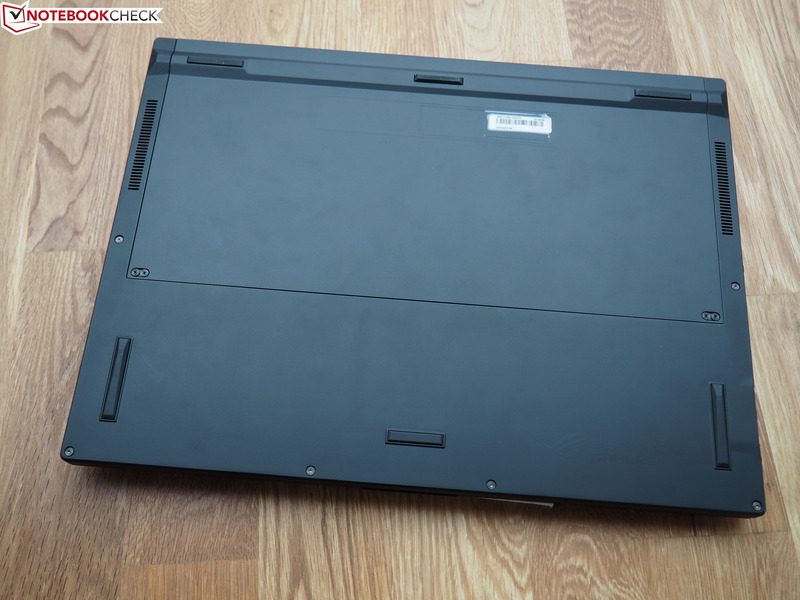 In Germany, Asus offers a two-year warranty for the notebook. Please see our Guarantees, Return policies and Warranties FAQ for country-specific information. 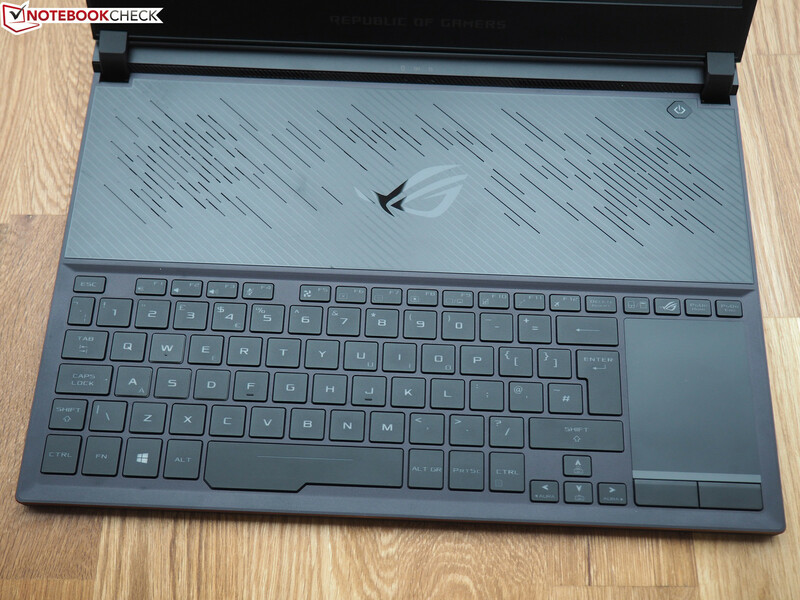 You can immediately recognize the ROG Zephyrus S by its unusual keyboard placement, which follows the GX501 aside from some smaller details (such as the newly arranged Fn functions). The built-in RGB illumination can be adjusted extensively via the Aura software. 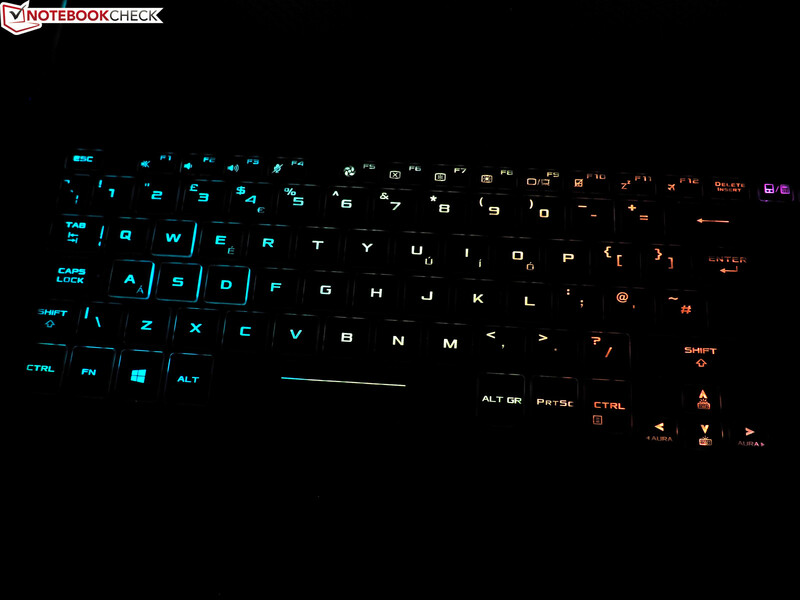 In addition to various colors, you can also find several modes such as "Breathing" or "Rainbow" that turn the GX531 into a light show. We were not completely satisfied with the typing experience, since the keyboard felt slightly spongy (like the predecessor) and has some give when pressed down with more force (while the rest of the case is fairly stable). For this reason, those who type frequently should rather look for an alternative. 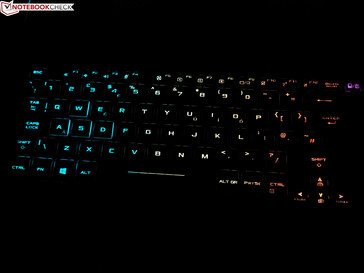 Other keyboards offer a crisper feedback. There are also some compromises in the layout. Particularly the tiny arrow keys annoyed us in practice. 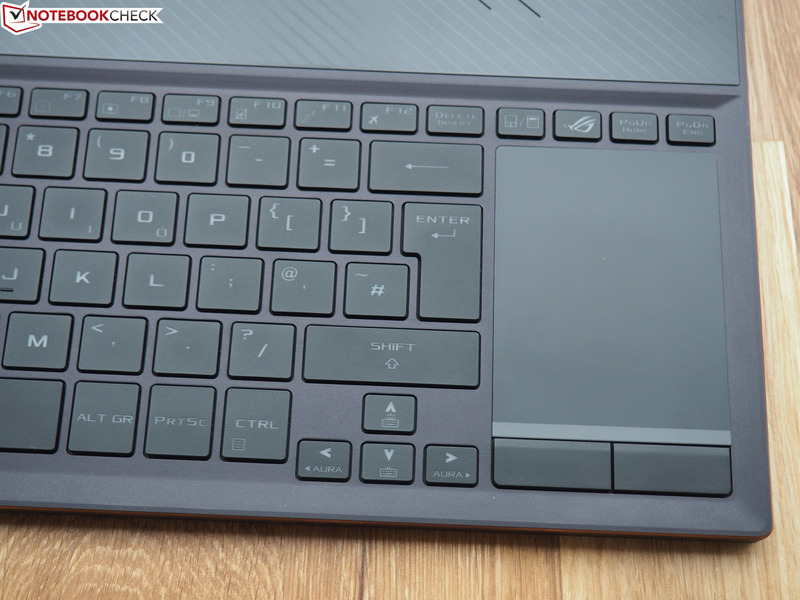 For cooling and space reasons, it's not only the keyboard that is positioned in an unusual place, the touchpad is as well. With a width of only 6 cm (~2.4 in), the surface turns out to be very small, which makes controlling horizontal moves on the 16:9 screen rather awkward. The depth of 8 cm (~3.1 in) does not offer much help there either. At least it is easy to slide your fingers on it, thanks to the smooth finish. On the other hand, the precision could have been better. 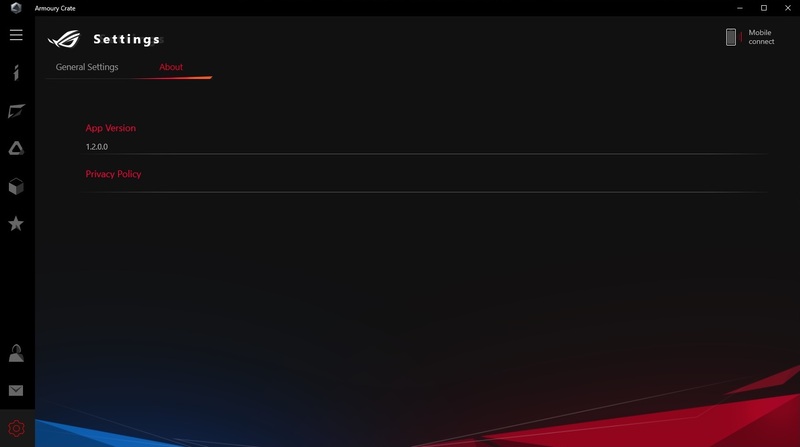 We find nothing unusual in the multi-touch support. You can zoom and scroll through documents and websites comfortably. 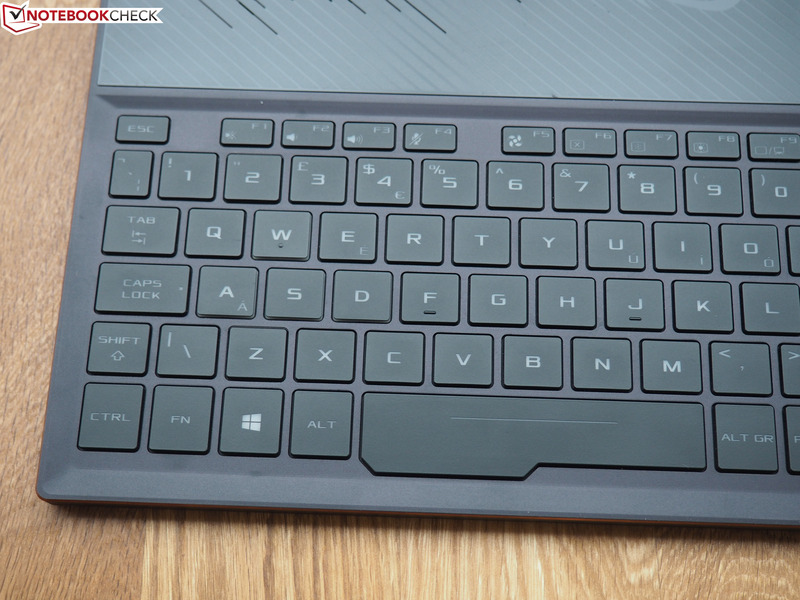 Good: In order to make up for the lack of a number pad, Asus builds-in a number-pad mode, which is toggled with a special key. While the GX501 was equipped with a G-Sync-capable 120-Hz display, you get a 144-Hz panel without G-Sync in the GX531, which delights with a very short response time. 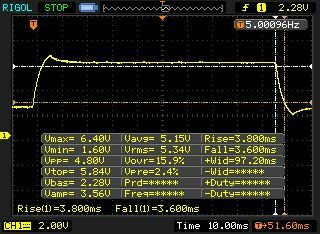 Instead of 28-33 ms it is now only 7-10 ms. This is a clear improvement that also prevents smudging even in fast games such as ego-shooters. In addition to the response time, the contrast has improved as well. 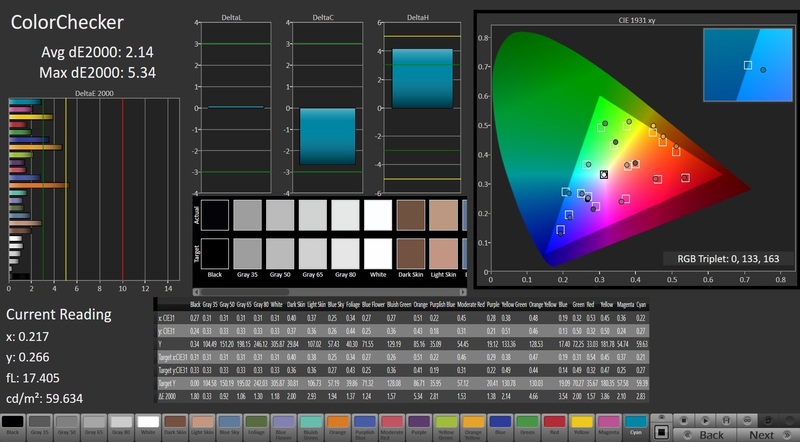 Due to the lower black value (0.24 vs. 0.35 cd/m²), the contrast ratio increases from barely 880:1 to more than 1200:1. Yet the display names hardly differ, and the panel of the GX531 is called "AU Optronics B156HAN08.2" instead of "B156HAN04.2." The brightness dropped by about 10% compared to the predecessor. However, an average of 275 cd/m² should still be sufficient for most indoor spaces. Only outdoors in direct sunlight will things become more difficult and more than 300 cd/m² would be more appropriate. 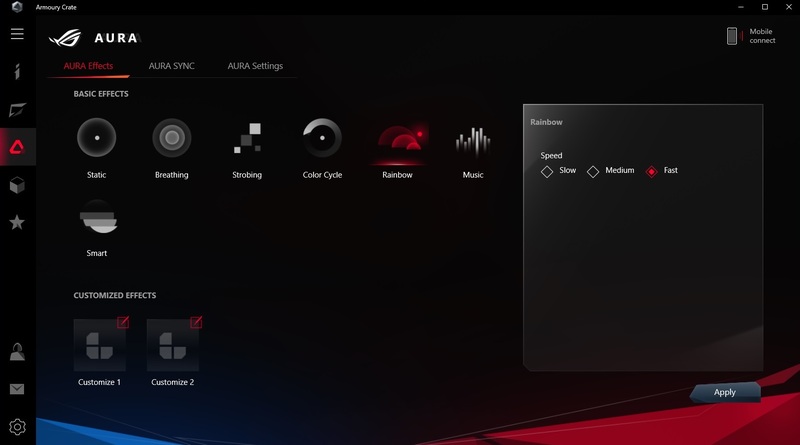 Asus deserves some respect for the preinstalled ICC profile that guarantees good color accuracy already in the state of delivery and adds points to the display evaluation. 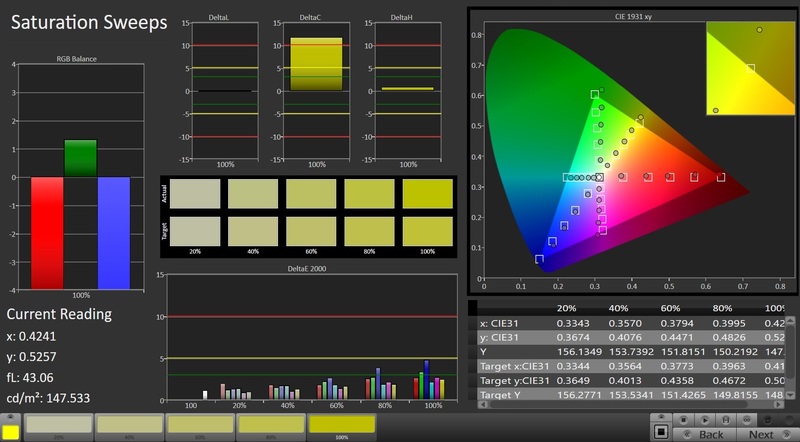 At 91% sRGB (59% AdobeRGB), the color space is also not too bad. However, the GX531 receives some points reduction for the screen bleeding that was present at least in the test unit. 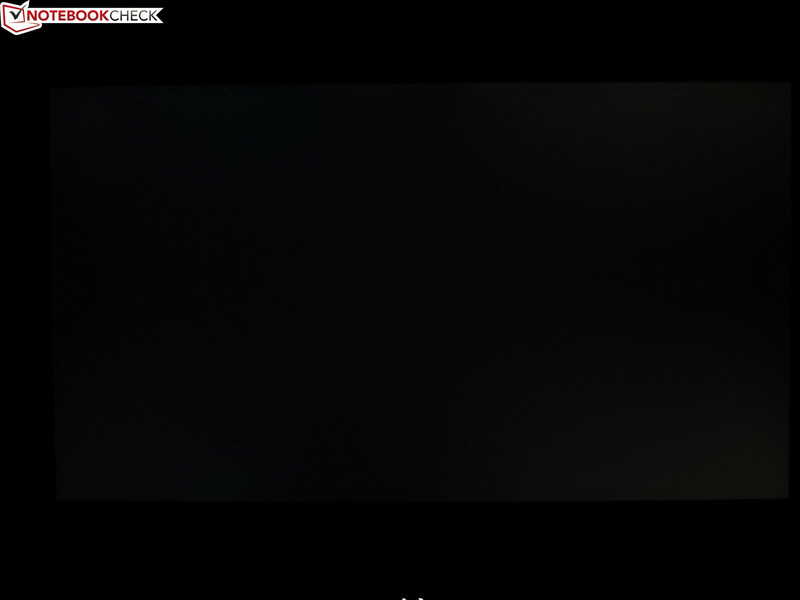 There are some larger halos particularly in the corners (see picture). Despite the slim case, Asus has equipped the ROG Zephyrus S with high-end components that are otherwise found in significantly thicker laptops. At this point we should mainly mention the hexa-core CPU, which offers a lot of power reserves and brings sufficient future-proofing for the coming years. For the GPU, the manufacturer uses Nvidia's power-saving Max-Q design, which was developed for extremely slim laptops. 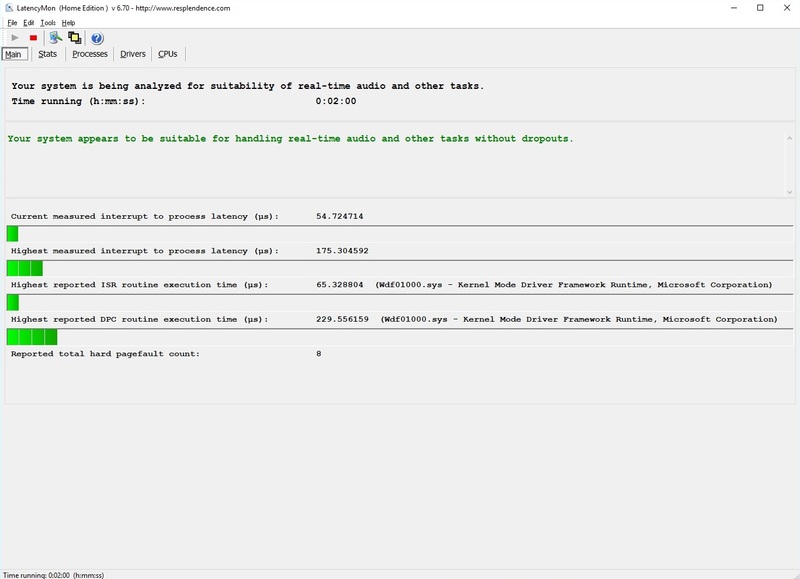 16 GB of DDR4-RAM and a PCIe-SSD are also in sync with the times. 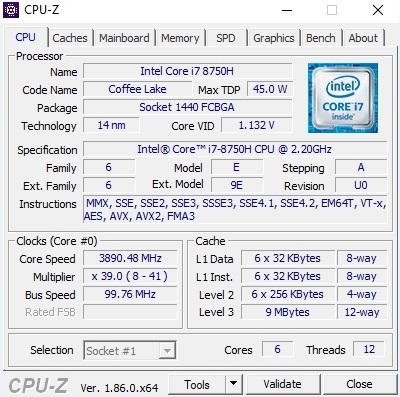 The Core i7-8750H is part of Intel's current Coffee-Lake series and is able to run up to 12 threads in parallel via Hyper-Threading. Its specifications include 9 MB of L3 cache and an integrated graphics chip called UHD Graphics 630, which is active during idle mode and undemanding tasks such as Office, video, or web. The dedicated GeForce GPU is only used during computing-intensive tasks, which lowers the power consumption. In the benchmarks, the GX531 delivers an exceedingly good performance. In the multi-core tests of Cinebench R15 and R11.5, the 15-incher places second, and only the Gigabyte Aero 15X v8 is able to move slightly ahead. The advantage to the old Kaby-Lake generation is particularly impressive, and the Core i7-7700H quad-core of the GX501 is beaten by more than 50%. 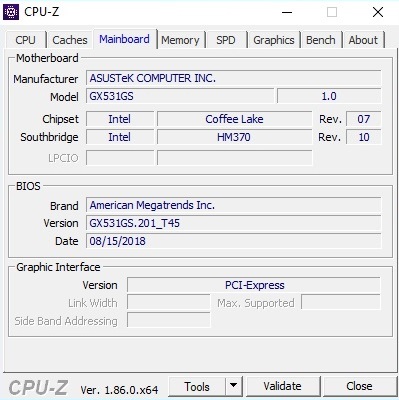 However, this huge performance advantage only lasts for a short time, since like many other Coffee-Lake notebooks the GX531 is unable to maintain its full CPU Turbo for very long. 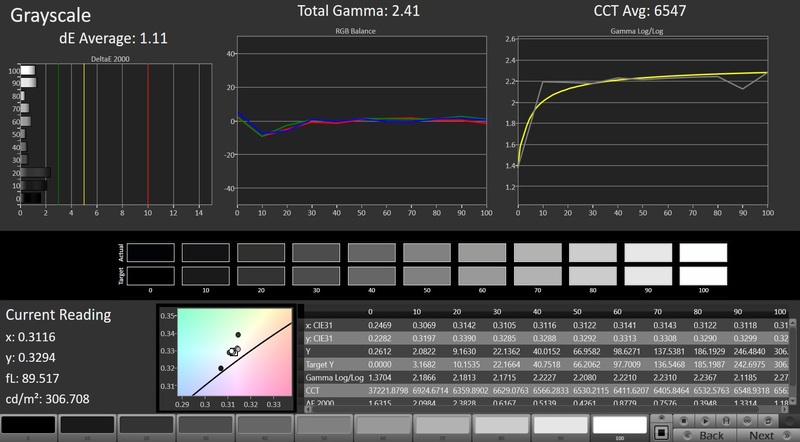 In our Cinebench loop, you can see that the performance drops by about 10% starting from the second run. 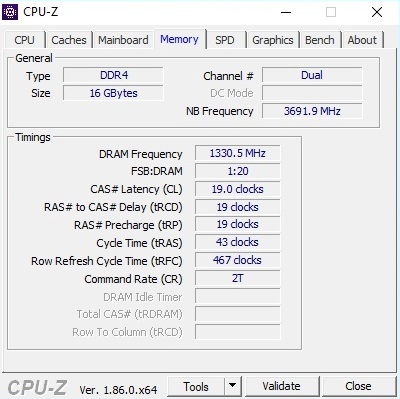 Instead of 3.9 GHz (corresponding to the maximum Turbo boost during load of all cores), the Core i7-8750H then "only" achieves 3.0-3.2 GHz. Thus the Cinebench score settles down at the same level as the MSI GS65 Stealth, placing in the middle between the Gigabyte Aero 15X and the Razer Blade 15. The system performance benefits primarily from the PCIe-SSD. Thanks to this modern technology, Windows is able to boot up exceptionally fast and also responds comfortably fast otherwise. 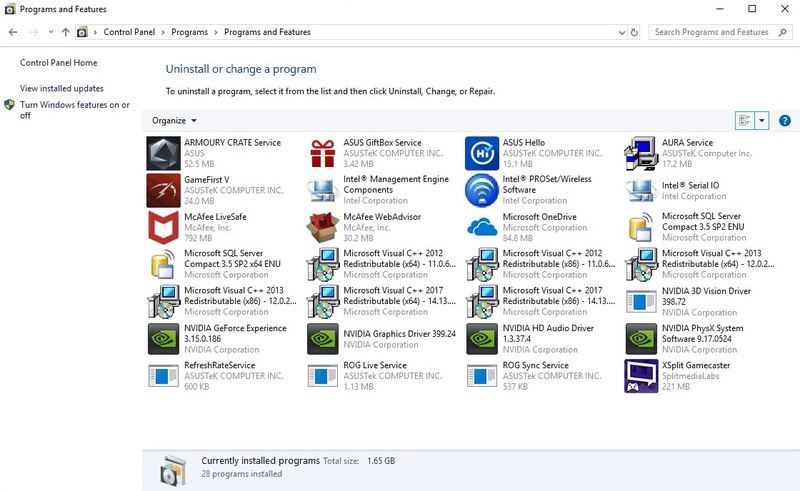 Installations, program starts, and data transfers do not turn into an ordeal either. 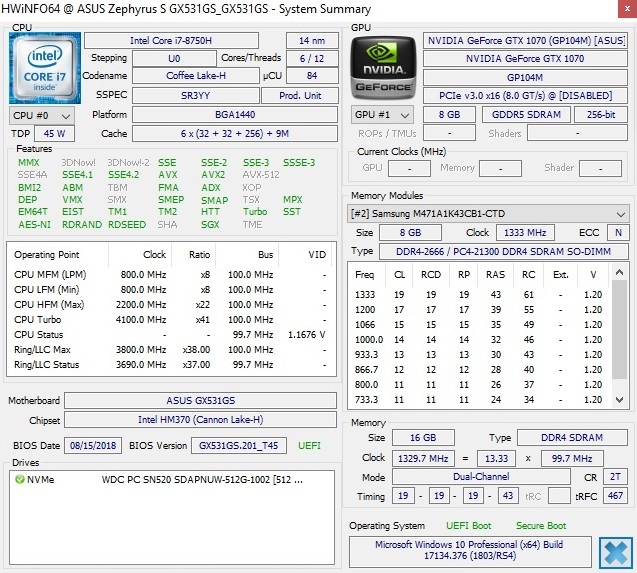 The synthetic benchmarks such as PCMark 10 confirm this subjective impression. With an overall score of 5170 points, the GX531 places at the top of the test field. 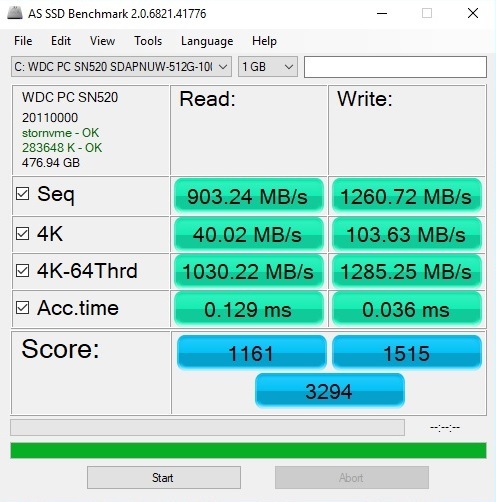 The gold medal in PCMark 10 is slightly surprising, since the pure SSD performance does not quite reach the level of the competitors. In CrystalDiskMark 5.2, the Razer Blade 15 (Samsung PM961) and the MSI GS65 (Samsung PM981) achieve 17% and 19% better results, respectively. 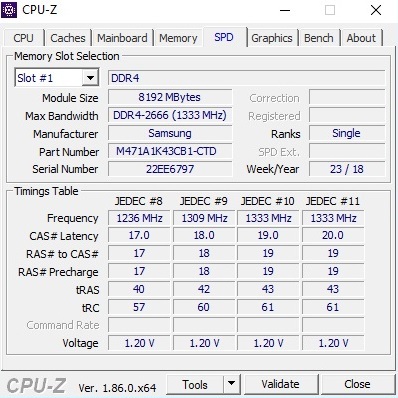 For the old GX501 (Samsung SM961), it is even an advantage of +39%. 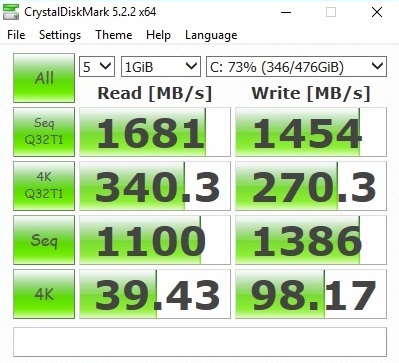 In terms of its performance, the 512-GB drive by Western Digital (SN520) is more at the level of the Toshiba SSD in the Gigabyte Aero 15x. 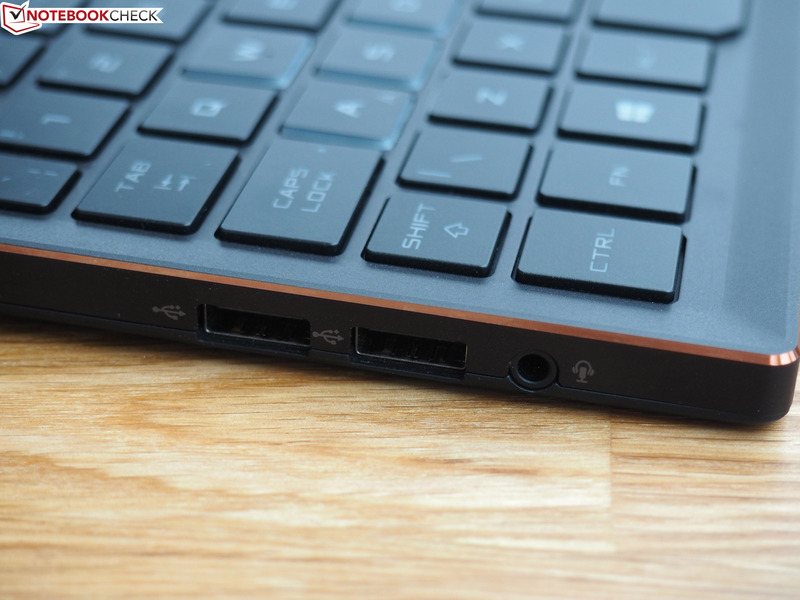 Unfortunate: According to our information, the GX531 offers only a single M.2 slot. In order to expand the storage, you would need to remove the current SSD and replace it. 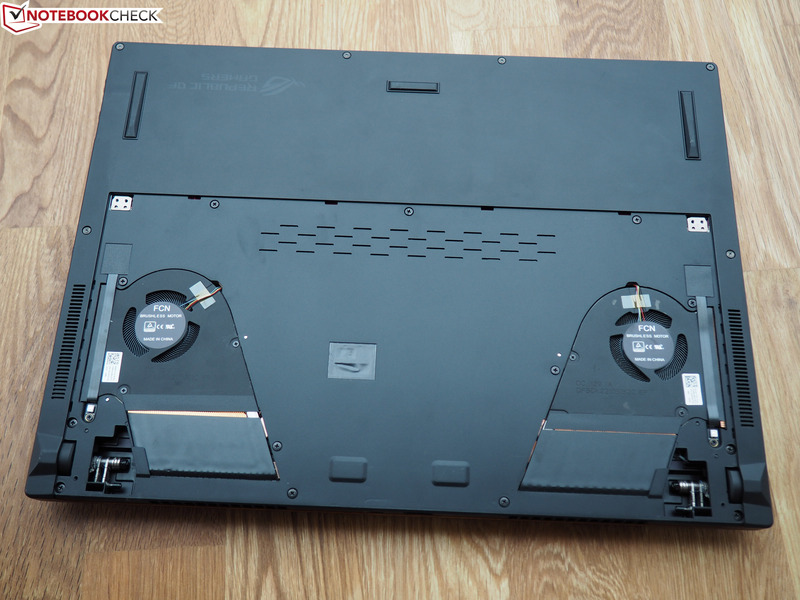 Usually gaming notebooks offer at least two M.2 slots or a combination of an M.2 SSD and a 2.5-inch HDD. Nvidia's GeForce GTX 1070 Max-Q is the perfect choice for demanding gamers who prefer a compact case suitable for travel. The DirectX-12 model is based on the Pascal architecture, and similar to its standard version, it brings 2048 shaders as well as 8 GB of GDDR5 video storage, which is connected via the 256-bit connection. 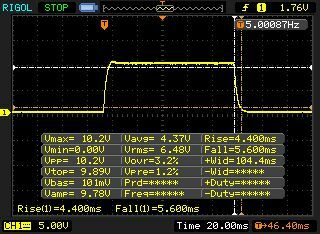 There are larger differences in the clock speed. 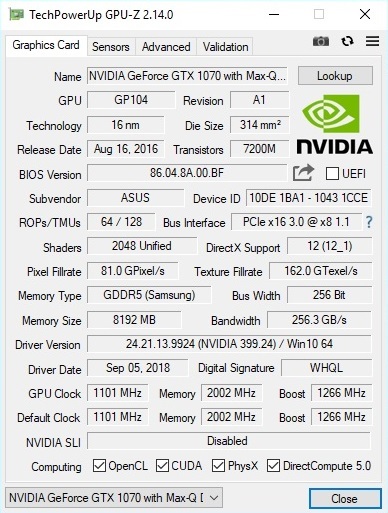 While the GTX 1070 achieves a base value of 1443 MHz, the Max-Q-Edition only runs at 1101 MHz. 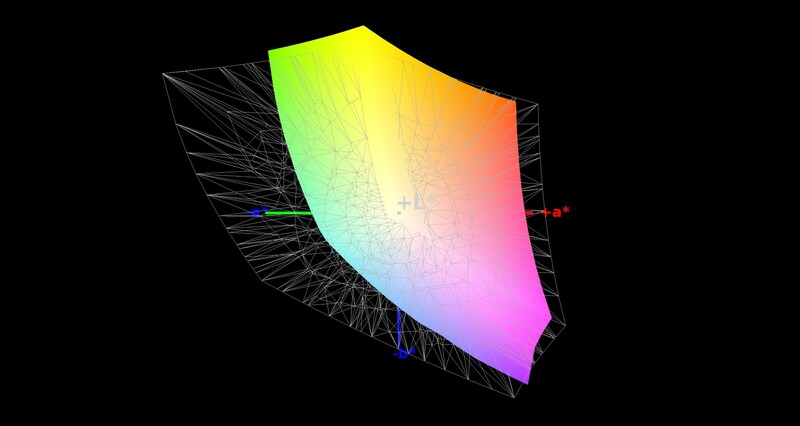 Thanks to the automatic GPU Turbo, much higher values are possible during 3D applications. 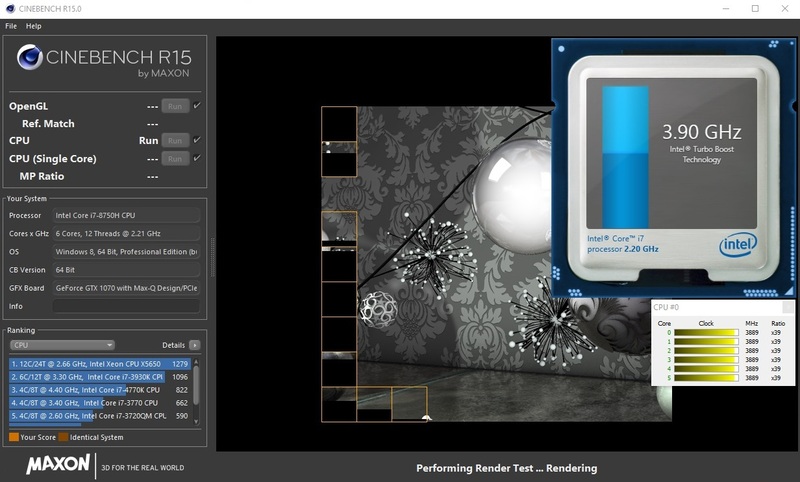 The render test of the GPU-Z tool attests the GX531 with up to 1544 MHz. During everyday gaming, you can expect around 1350 MHz, which is confirmed by our tests with the Unigine Heaven 4.0 benchmark and The Witcher 3. On the other hand, the other manufacturers did not fall asleep either, as you can see in the comparison chart. In 3DMark 11, the competitors move ahead by 2-11%. 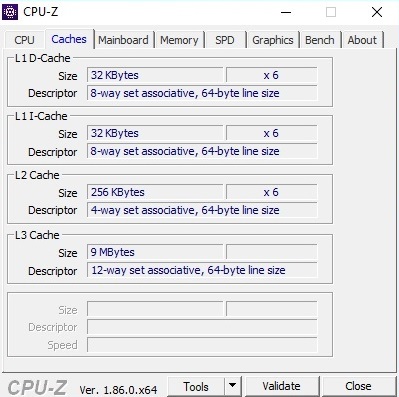 However, this is not necessarily the result of the GPU clock speed but can also be connected to the driver version. The endurance test (60 minutes of The Witcher 3 @ FHD/Ultra) did not bring anything unusual to light, neither in terms of the CPU nor the GPU (temperatures, clock speed, etc. ).